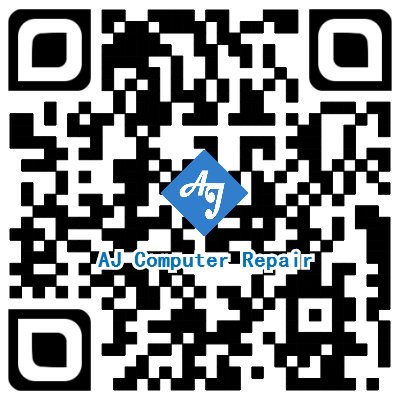 Check out our new QR code. Make it easier to find and contact us. Shoot your computer questions and we are here to help! Not sure what they are? 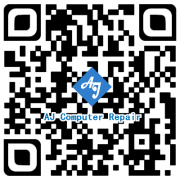 Here is the easy definition from Wiki: A QR Code is a matrix code (or two-dimensional bar code) created by Japanese corporation Denso-Wave in 1994. The “QR” is derived from “Quick Response”, as the creator intended the code to allow its contents to be decoded at high speed. You may have already noticed that some places in your area have started using QR Codes, and if you have not noticed any then stand by because you will. QR Codes are starting to pick up alot in the U.S. but it will be some time before it catches on like it has in Japan and other countries. QR Codes put in simple terms is an instant identification, ad, opportunity, or anything else that you are trying to get across to others. Now with the latest version of Google’s Android and Nodia’s Symbian OS including the pre-installed QR Readers it will pick up even easier. Others will still have to install a “free” QR Reader on their phone.